Gluten-Free Living > Tips > What recipe can I use to celebrate Bacon Day today? What recipe can I use to celebrate Bacon Day today? Hoorah for an excuse to eat bacon! 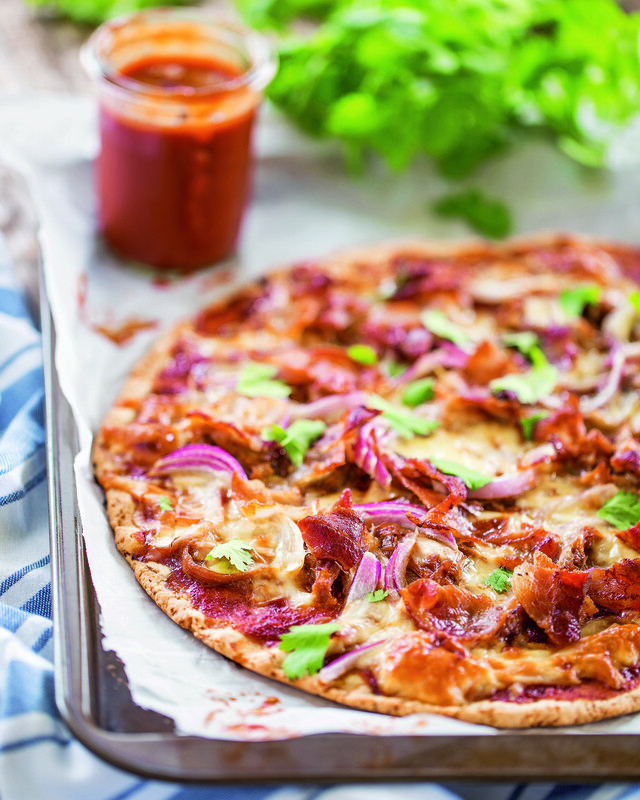 This paleo Thin-Crust BBQ Pizza with Crispy Bacon has a secret ingredient in the crust: sauerkraut. 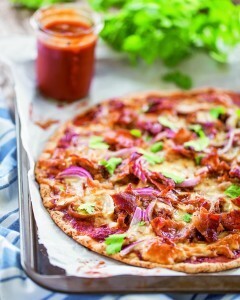 The thin crust and barbecue sauce highlight the crunchy bacon that you’re here to celebrate.